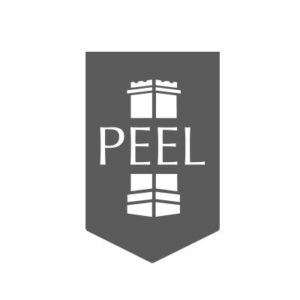 The Peel Group was seeking planning permission for two high-profile developments in Greater Manchester during 2016. Both developments sought to regenerate land next to the Manchester Ship Canal, with the plans for MediaCityUK aimed at expanding the creative/media hub at Salford Quays and the Trafford Waters plans aimed at development of an ‘urban village’ near to the Trafford Centre. BECG was appointed to provide political engagement, stakeholder consultation and media relations support. We began with targeted engagement with senior figures at Salford City Council and Trafford Council to identify key concerns and provide reassurance that the level of investments proposed could be delivered. With both the BBC and ITV located at MediaCityUK, media interest in both developments was strong and the team worked hard to ensure that coverage was positive and high-profile so that it ‘cut through the noise’ of other investments in Greater Manchester being announced at the annual property festival at MIPIM. Stakeholder consultation included a mixture of direct marketing, consultation events and one-to-one meetings, with communications materials focused on the benefits associated with development, the strong sustainability credentials of both developments and the wider rationale for each site. Both planning applications were approved during 2016 by Salford City Council and Trafford Council respectively. Both Salford Mayor, Paul Dennett, and Trafford Council Leader, Sean Anstee, publicly endorsed the proposals, helping to ensure a smooth passage through the planning process.